Avène Thermal Spring Water, contains a unique active ingredient, renowned by dermatologists for its soothing properties. 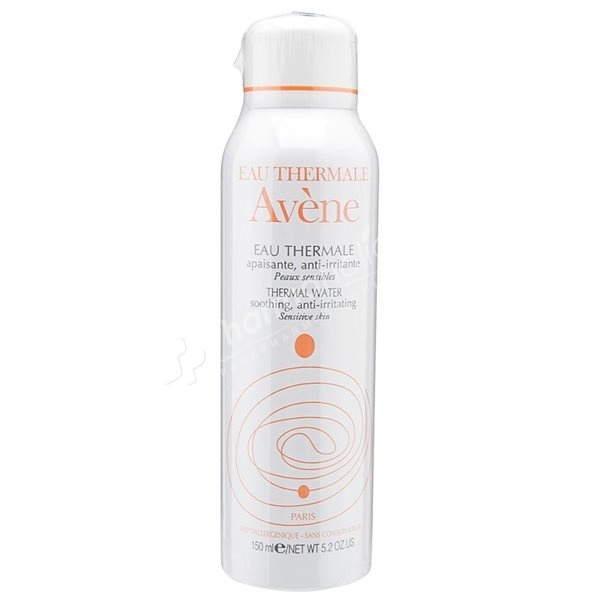 Avène Thermal Water Spray provides soothing care for sensitive, hypersensitive, allergic and irritated skin. Providing relief from skin irritation caused by sunburn, after anti-acne treatments, nappy rash, razor burn or hair removal. The spray provides a comforting and refreshing sensation when used. It can be used to complete cleansing, set make up, after outdoor activities or when travelling. Spray onto the skin in a fine mist. Wait for few seconds, then gently pat dry. Avene Thermal Spring Water (Avene Aqua), Nitrogene.